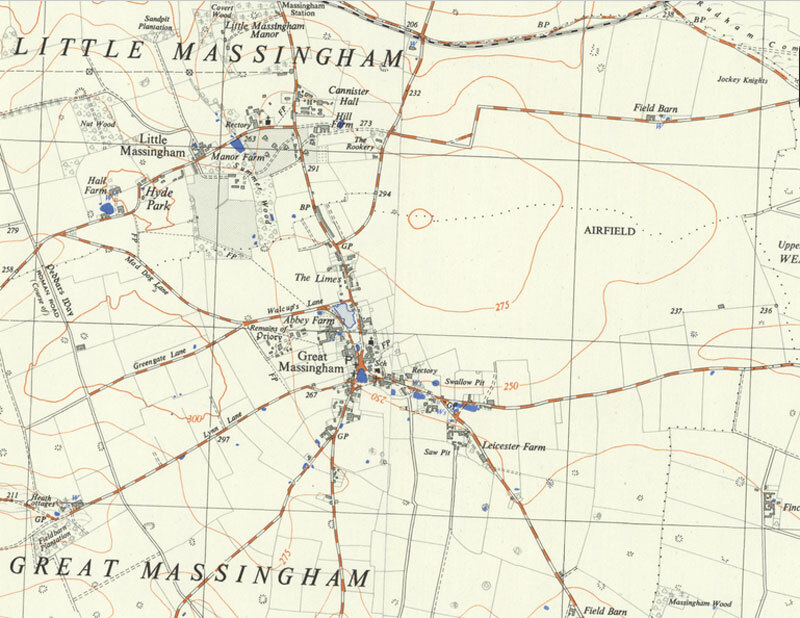 Great Massingham airfield (also known as Royal Air Force Station Great Massingham or RAF Great Massingham) was an airfield 150 km north of London. The airfield was built as a satellite airfield of RAF West Raynham and opened as a grass airfield in July 1940. It's first tenant unit was 18 Sqn, who arrived n September 1940, to be replaced by 107 Sqn in May 1941. Both units were operating Bristol Blenheim light bombers but as the Blenheim was rapidly becoming obsolete, 107 Sqn departed in August that same year. Boeing Fortress I (B-17C) daylight bombers operated from the airfield in June and July of 1941. 107 Sqn returned to the airfield in January 1942 with their new Douglas Boston III/IIIa (A-20C Havoc) low level light bombers. They were joined by 342 (Free French) Sqn in July 1943, but both squadrons left the following August/September and the airfield was closed. The reason the airfield closed was an extensive refit, that would ultimately result in an airfield with accomodation for 1,778 RAF and 431 WAAF personnel, 3 concrete runways, a single B1 hangar and four T2 hangars. 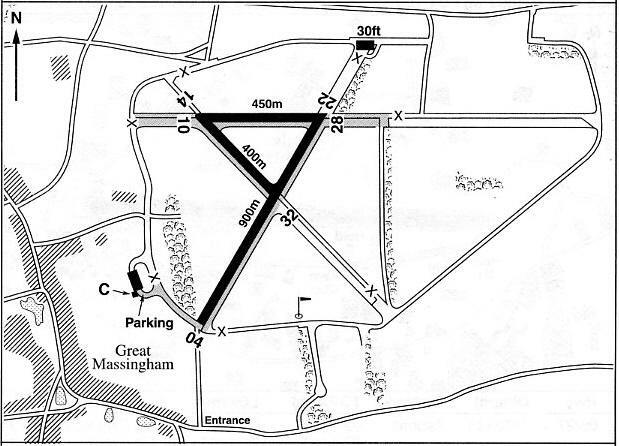 Great Massingham got sixteen pan-type aircraft parkings and an additional twenty loop-type, giving a total of thirty-six dispersed parkings. When the airfield reopened in June 1944, it became home to Mosquito NF.XIX nightfighters/light bombers of 169 Sqn. 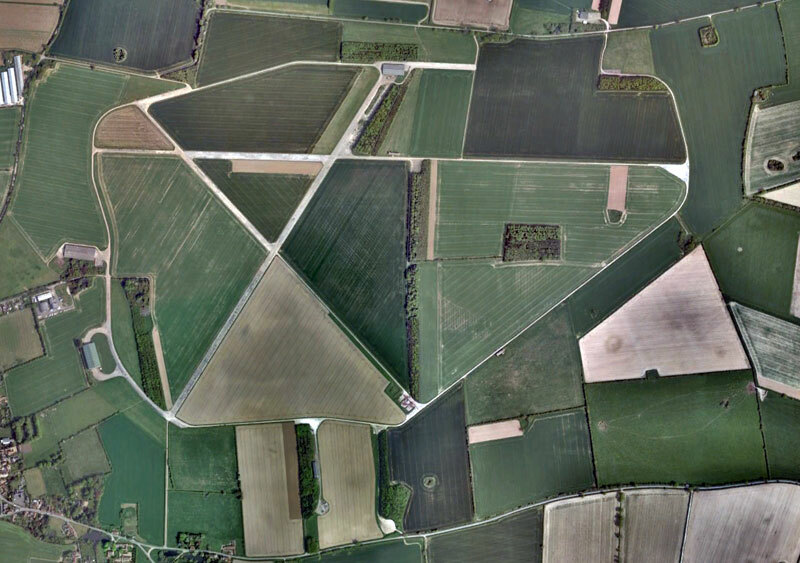 Also callng the airfield 'home' was a mix of aircraft of 1692 Bomber Support Training Unit, affiliated to 100 Group, Bomber Command, for interception radar training. After the end of the war, in August 1945, Great Massingham was trransferred to Fighter Command and became home to the Central Fighter Establishment, which developed, tested and evaluated new fighter tactics. 1945 map of the area, with the airbase simply depicted as 'airfield'. 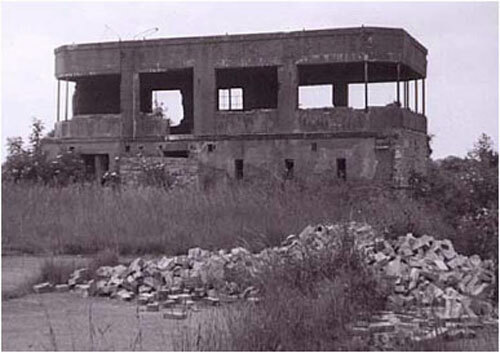 The airfield closed in 1946, although remained in use for storage until the 1950s. The airfield was sold in 1958 and returned to agricultural use. Around 1990, a small private airfield began operating from parts of the original runways, although with restricted (PPR-only) access. Although the runways are still present and still used, the control tower has been demolished. A small wooden shack on wheels now serves as an operations center. A T2 hangar is located on the west side, a large farm shed is used by the local aircraft owners to store their aircraft.